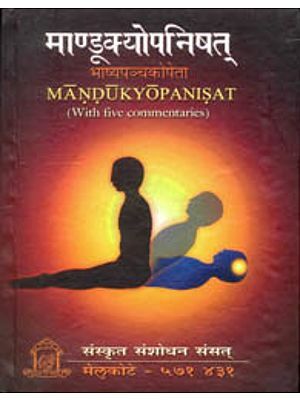 The volume contains a detailed commentary on two important Upanisads, the Isavasya and the Mandukya. 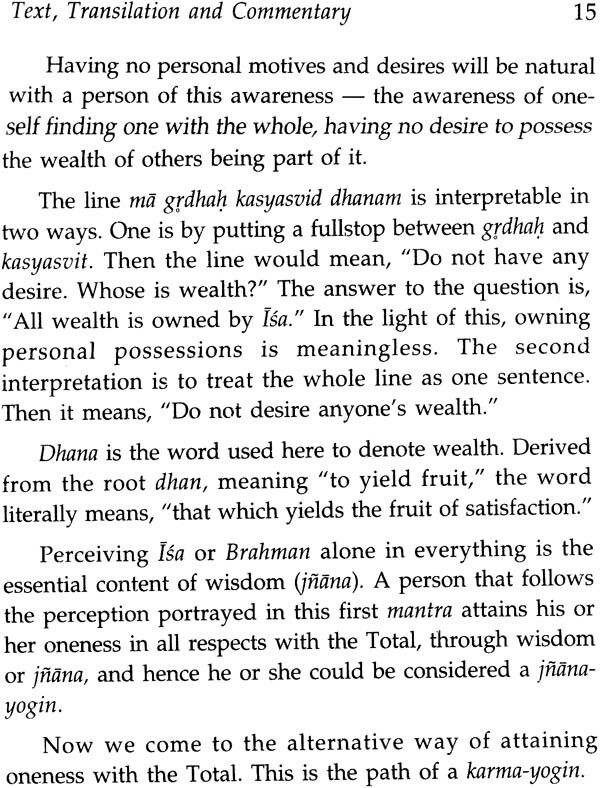 The Isa Upanisad states strightaway what Brahmavidya is. It clarifies three different paths in human life: two leading to final liberation and unconditioned happiness and the third leading to the demonic world of darkness and sufferings in life. 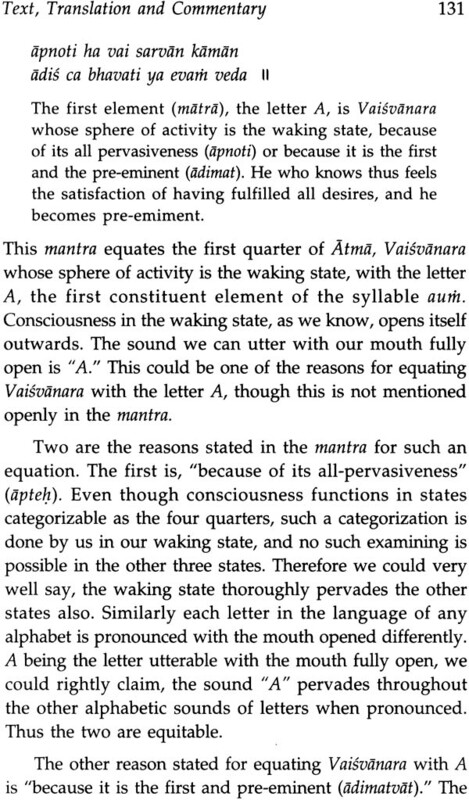 The Mandukya Upanisad, which is also the shortest Upanisad, states concisely what Vedanta basically teachers (“Everything here indeed is Brahman”) how everything is to be conceived, and how it is to be equated with aum. 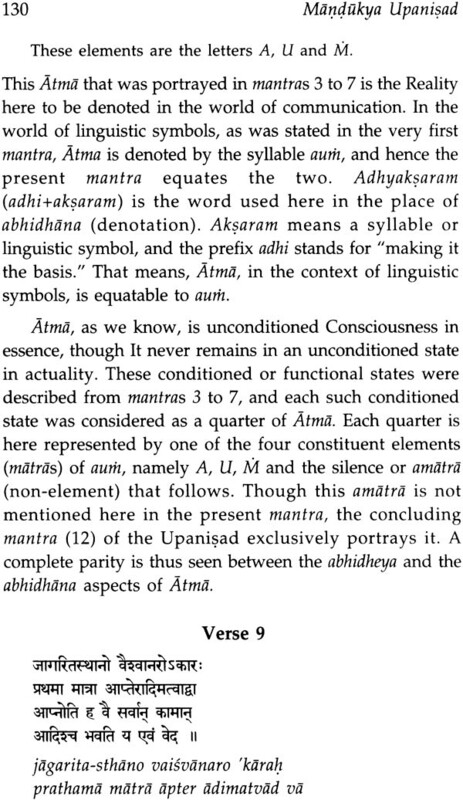 It explains how the monosyllable aum condenses within itself Brahman or atman, the substance in all the worlds. 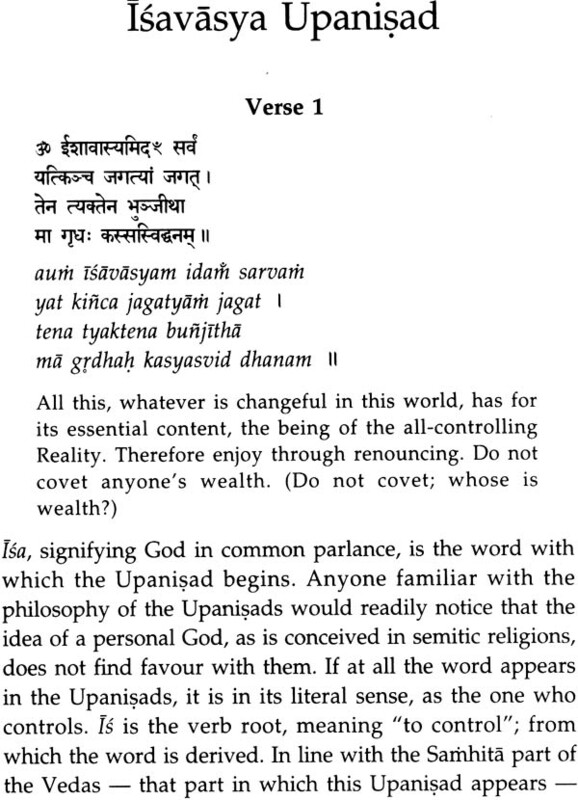 The volume gives the original texts of the Upanisads in Sanskrit, their Roman transliteration and a commentary for each. 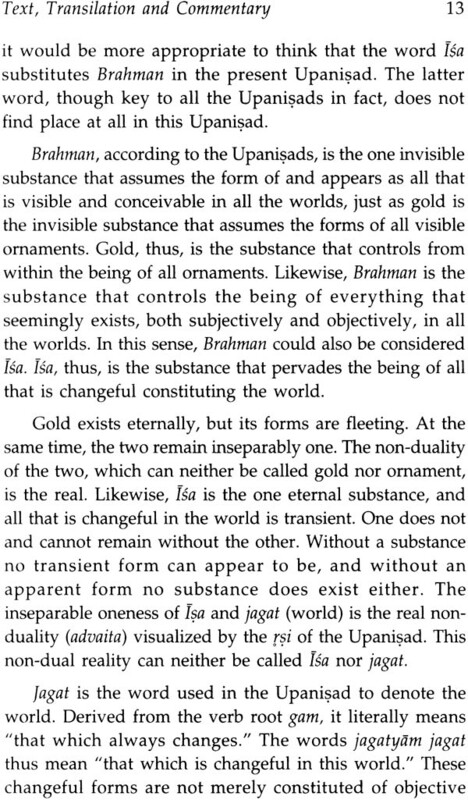 It explains the basic message of the Upanisads-Brahmavidya or Atmavidya or Vedanta or Vedanta or the science of the Absolute –in different ways, the questions asked in each being different. It takes a fresh look at the Upanisads keeping in view all modern developments of thought in science as well as Philosophy. The work will interest scholars and students of Hindu philosophy and religion. Swami Muni Narayana Prasad is the Guru and Head of Narayana Gurukula, a guru-disciple foundation open to all, irrespective of caste, creed, gender, religion or nation, aimed at promoting the science of the Absolute (Brahmavidya) as restated by Narayana Guru. A disciple of Nataraja Guru and Guru Nitya Chaitanya Yati, he was travelled widely teachings Indian philosophy. He has authored around seventy books in the Malayalam language. His English books are: Chandogya Upanisads, Vedanta Sutras and Darsanamala of Narayana Guru, Vedanta up to Narayana Guru, Karma and reincarnation, basic lessons on India’s Wisdom, The philosophy of Narayana Guru, life Pilgrimage Through the Gita, Collected works of Narayana Guru, and Narayana Smrtih. 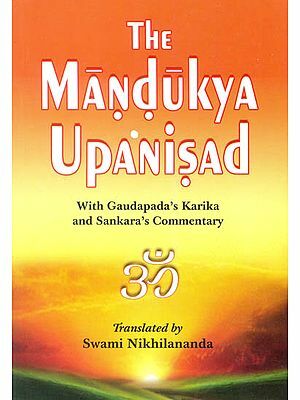 These are the last in series of Upanisad commentaries initiated by Narayana Gurukula, as planned by Guru Nitya Chaitanya and myself together. 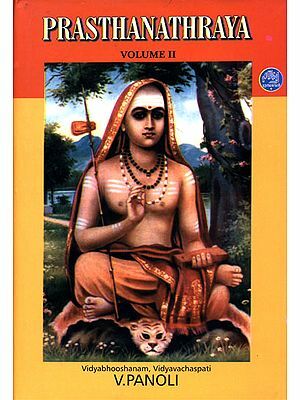 Ever since Sankara the great Advaitin wrote his famous commentaries on the ten major Upanisads, successive commentators have mostly elaborated on this acarya’s ideas. To deviate from his line of thought had come to be seen as a sort of sin for Advaitins. We on the other hand felt it imperative to take a fresh look at the Upanisads in view of all modern development in Scientific and philosophical though. In understanding India’s wisdom tradition, we had the good fortune of getting sufficient guidance from Nataraja Guru, himself a disciple of the great modern Rsi Narayana Guru. Guru Nitya Chaitanya Yati took upon himself the onerous task of commenting upon the two largest Upanisads, Brhadaranyaka and Chandogya. He asked me to comment on those remaining. Incidentally, he had already commented on the Isa and Mandukya Upanisads; so I had only to deal with six Upanisads. 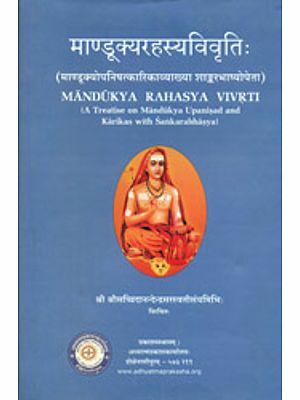 Guru Nitya did complete the commentary on the Brhadaranyaka in three volumes, which was published by Messrs D.K. Preintworld. My commentaries on the six Upanisads were written one by one and all published by this same company. 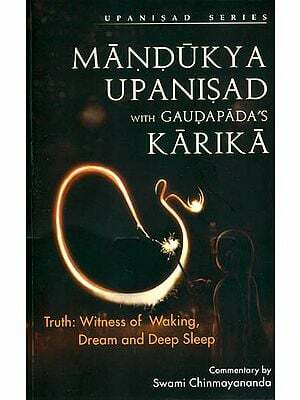 Guru’s old age disabilities did not afford him the opportunity to take up work on the Chandogya Upanisad so I took up the task the book has since been published. 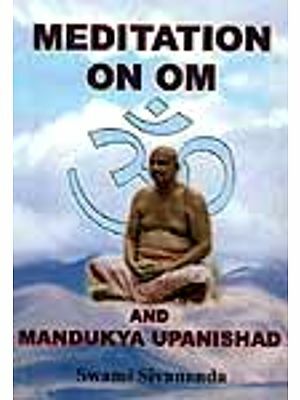 Since Guru Nitya’s commentaries on the Isa and Mandukya Upanisads were already available in print, I hesitated to write new commentaries on them. Nerertheless, I felt I had something new to say on both. Already, a commentary I had written on the Isa formed part of an earlier book, Basic Lessons on India’s wisdom. 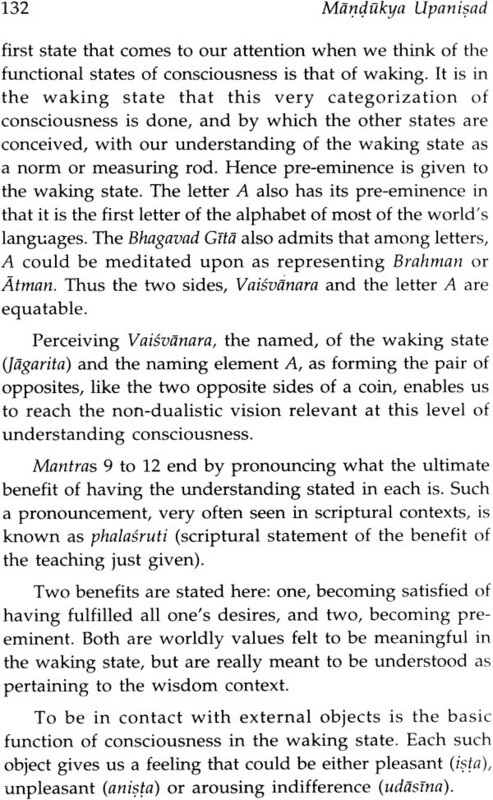 Also many friends of the Gurukula and the publishers themselves asked me to write commentaries on these two Upanisads. So I though it best to accede. Like commentaries on the other Upanisads, the Bhagavad-Gita and the works of Narayana Guru, these were written after lengthy discussion with the students and inmates of the Gurukula during our daily get together after evening prayer. And the general guidelines for these commentaries could be said to have come from my earlier days when I had the privilege to sit at the feet and attend the classes of both Nataraja Guru and Guru Nitya Chaitanya Yati. And of course, I owe a great debt to the guiding light of Narayana Guru’s works. Long time Gurukula friend Dr. Peter Oppenheimer and Mr. Jan Jaco, both from the U.S.A., took great pains to work through these texts and edit them. Their love of wisdom heritage be thankful to Messrs DK Printworld for bringing out such books as are found on the series entitled “Rediscovering keep up the highest international standard. I offer this small volume as a altar-flower at the feet of a long line of the world’s rsis gurus that in my case reached up to Nataraja Guru and Guru Nitya Chaitanya Yati.